Chances are you open and close your home’s garage door at least several times a day. What would happen if suddenly you couldn’t open it to back out your car and go to work? What if you couldn’t close it to keep your possessions safe? Unfortunately, malfunctions like these become more likely as your garage door’s components age. 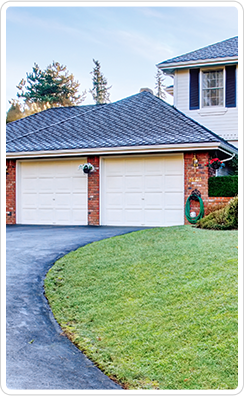 Discount Garage Door Repair is the company you can count on when you need quick and affordable repairs. We provide the lowest prices on garage door repair in The Colony, TX. When your garage door stops working the way it should, call us right away. We understand that a broken garage door can seriously interrupt your daily routine. That’s why we respond quickly to your call and get your garage door working as good as new. Our customer’s safety and satisfaction are always our main concerns. You are in good hands with our experienced garage door contractors if you need garage door repairs right away. As highly trained professionals, we are ready to diagnose and repair any garage door-related issue. Don’t take chances when your home security is at risk—call us for our affordably priced same-day repair service. Our team believes in making sure the job gets done right on time and for the price we quoted you. With each customer’s complete satisfaction as our primary motivator, we never lose sight of the value of doing thorough, honest work. With our affordable services, your garage door will open and close reliably and efficiently for the convenience and safety of your family. Find out what makes us the area’s preferred source for timely repairs and give us a call today. Contact us when you need affordable, fast garage door repair. We proudly serve customers in The Colony, Texas.